All images taken on site. Please contact us for prints and publishing inquiries. The following gallery contains a collection of Deep Space Objects that were imaged at the Grand Mesa Observatory. Descriptions and dates can be found on each image, but we invite you to contact us with any printing inquiries or questions about our process. The following gallery contains images of the facilities and equipment that can be found at Grand Mesa Observatory. Without this amazing location and incredible gear we could not do what we do, and we want to share the full observatory experience with our subscribers, community, and followers. 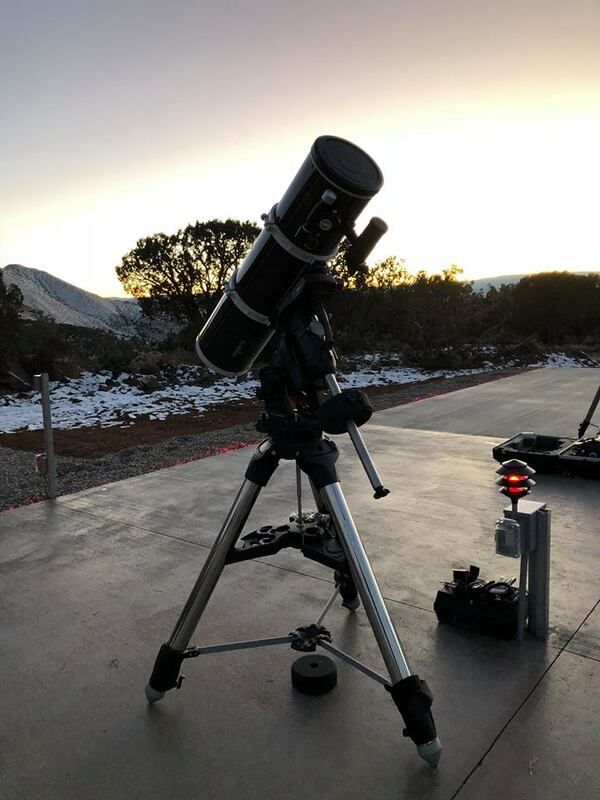 Our relationship with the local community is critical to the mission of the Grand Mesa Observatory, and we hope you will enjoy seeing some of our programming even if you can't join us in person. For booking information or for press inquiries, please use the "Contact Us" page.